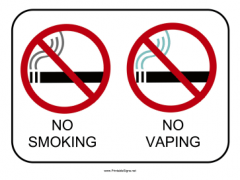 PETALING JAYA: Most Malaysians want e-cigs and vape (ECV) banned. Two-thirds of the National E-cigarette Survey (NECS) 2016 respondents want ECV banned while over 90% want them prohibited in places where smoking is banned. Over 4,000 respondents participated in the survey. Designed to represent Malaysian adults aged 18 and above, the report was published by the Institute for Public Health in collaboration with the International Islamic University Malaysia (HUM). The report recommends strict enforcement of ECV liquids and strict control or elimination of sources where ECV is advertised and sold. It also calls on the Government to educate the public about ECVs negative effects on society and health. Current ECV use is most prevalent among males aged between 18 and 24, with tertiary education, said NECS principal investigator and IIUM Assoc Prof Dr Mohamad Haniki Nik Mohamed. Students and private sector employees have the highest prevalence of ECV use. Over 40% of current ECV users started using between ages 12 and 15, he said, adding that fruity flavoured liquids are the most preferred. "Malaysians spend a substantial amount of their income on ECV. "Some 75% of the respondents felt that ECV does not help smokers quit or maintain abstinence upon quitting, and 85% disagreed that ECV is more effective than medication for quitting smoking," he told Sunday Star. He said ECV use is perceived to worsen breathing and coughing. "More than half fear health risks that could occur when ECV is used, especially on a long-term basis. "And over 80% agreed that ECV solutions cause poisoning and allow more nicotine use compared to cigarettes," he said, adding that there is a large discrepancy in nicotine concentration between the labelled and analysed values of ECV samples. Health Ministry deputy director general (public health) Datuk Dr Chong Chee Kheong said ECV with nicotine is regulated by the Poison Act 1952. The ministry defines devices that contain nicotine as electronic cigarette, or e-cig, and those without as vape, or vaping. "For ECV without nicotine, we will table a new bill in Parliament to address this soon. "Although it's claimed to be less harmful, ECV causes normalisation of smoking habit, especially among our children and teenagers," he said, adding that there is no evidence with regards to ECVs harm reduction effectiveness. In December 2016, the Cabinet tasked the Health Ministry, the Domestic Trade, Cooperatives and Consumerism Ministry, and the Science, Technology and Innovation Ministry, to jointly regulate the vape industry. The Health Ministry, said Dr Chong, would regulate the sale, advertisement and places where smoking is prohibited. On Nov 24, it was reported that the Health Ministry planned to ban vaping in public places under the new law but may permit prescribed use of e-cigs for patients to quit smoking if there is evidence showing it helps them to quit.For more, see StarEducate next Sunday.